Immigration Minister Brandon Lewis has outlined the Home Office’s approach to guaranteeing the rights of EU nationals currently resident and working in the UK. It will be easy and inexpensive to apply for settled status and a streamlined process will open during the second half of 2018. A HM Government spokesperson said: "European Union citizens who have made their lives in the UK have made a huge contribution to our country and we want them to stay. "Safeguarding EU citizens’ rights has been the Prime Minister’s first priority for the negotiations with the EU. "The UK government has now delivered on that commitment and reached an agreement with the EU on citizens’ rights. "The agreement will provide EU citizens and their family members living in the UK certainty about their rights after we leave the EU and most importantly, allow them to stay here. There will be reciprocal protections for UK nationals living in the EU. "There will be no change to the status of EU citizens living in the UK while the UK remains in the EU. No EU citizen currently living here lawfully will have to leave the UK when we leave the EU. "There will be plenty of time for people to apply for and receive their new residence status after the UK leaves the EU." 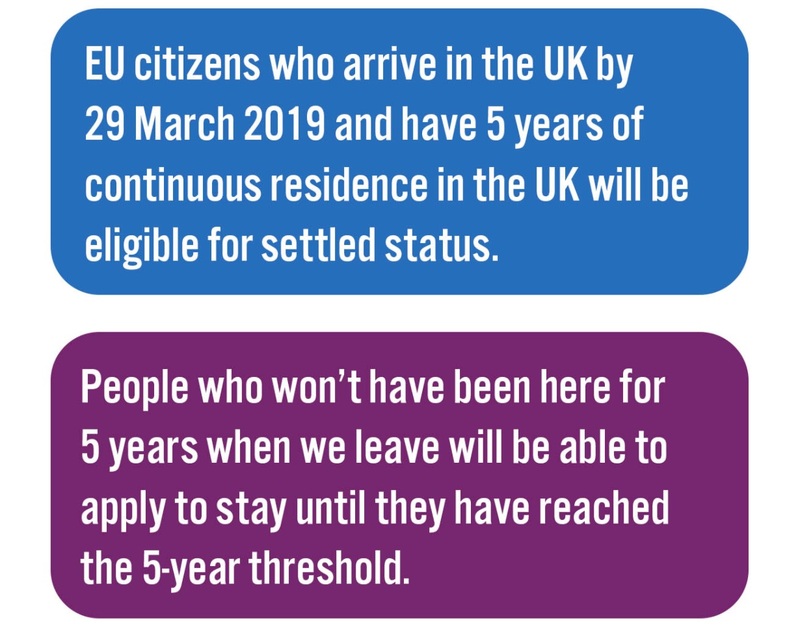 EU citizens who arrive by 29 March 2019 and have lived in the UK for 5 years will be able to apply to stay indefinitely by getting ‘settled status’. People who won’t have been here for 5 years when we leave, but arrive here by 29 March 2019, will be able to apply for permission to stay on until they reach the 5-year threshold. They can then also apply for settled status. 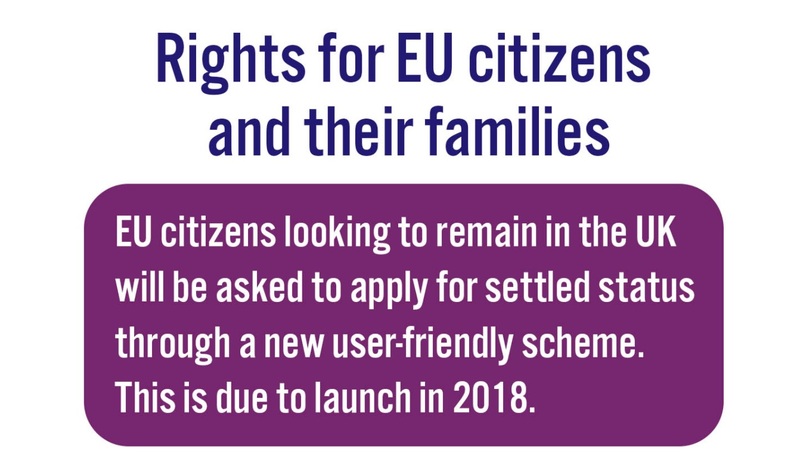 All family members who are living with or join EU citizens by 29 March 2019 will also be able to apply for settled status after 5 years in the UK. Children born after Brexit are protected if their parents are protected. Close family members will be able to join their families in the UK after Brexit. EU citizens looking to remain in the UK will be able to apply for their new status through a new streamlined, user-friendly application scheme, due to launch in late 2018. Rights to healthcare, pensions and other benefits in the UK will remain the same.